Gardening is tough work, but it has such great rewards. One of my favorite things to do is walk through my well-manicured garden. After a long day of work, I can’t enjoy my garden because of the time I get home and all of the stuff I have to do when I get there. 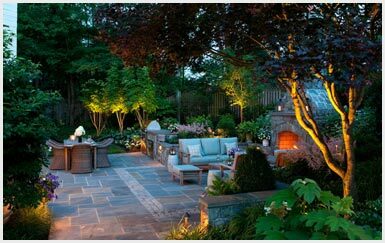 One of my friends told me about Low Voltage Landscape Lighting, so I looked into it, and I think that’s exactly what I need. If I could have at least a faint glow of light, I would be able to relax in my garden after a long dayat work. This would make a perfect spot to have a glass of wine. I also want to be able to check on my plants during the week. Since mornings are a bit of a rush for me, I don’t get to take care of this unless it is on the weekends. I like to invite people over for dinner parties, but I usually have them inside. During the nice weather, I love to have garden parties, but I always make them brunches or lunches. If I could have a dinner party in my garden, that would be a dream come true. My guests could see the plants that their fruits and veggies came from. I also wouldn’t have to cut my flowers to have everyone enjoy them. My friend had this done in her garden and loves it. She had considered other lighting options, but she discovered that LED lights are cost effective and provides a soft radiance. I put a couple strings of lights up, but what I did doesn’t look as good as what my friend has. I took the step and called a professional. The day my lighting was installed, the landscapers came over with everything they’d need. They made it look exactly like the picture I approved out ahead of time. It didn’t take them long, and they cleaned everything up when they were done. My family and I had out dinner out in the garden that very evening. It was a dream come true! This is the perfect spot to have dinner parties. I love seeing my garden lite up! Checking on my plants is so much easier, and this is our favorite spot whether the sun is up or down. I have been so happy with my Low Voltage Landscape Lighting from Accent Landscaping and Lighting. We turn landscapes into works of art. As a full-service property management/ landscaping company located in Toms River and Egg Harbor Township, New Jersey. Residential and Commercial owners can hire our services to design, construct, and maintain their landscapes. Copyright 2018 Accent Landscaping & Irrigation.